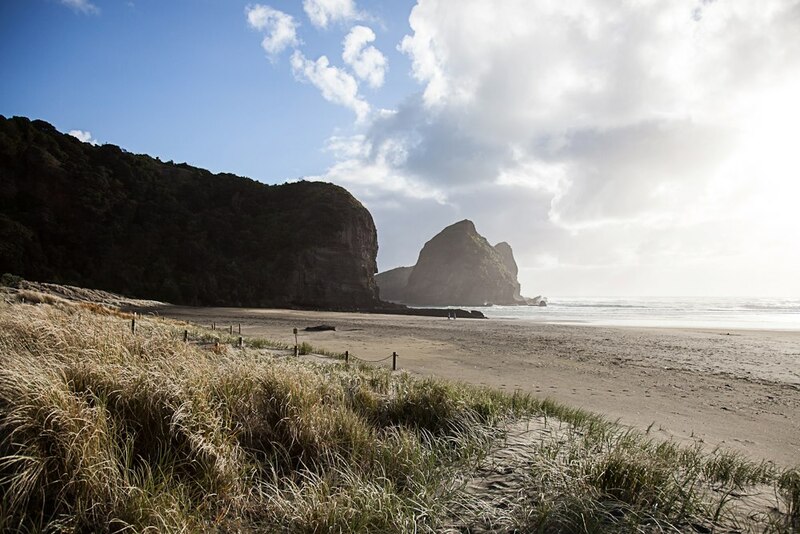 The Waitakere Ranges Local Board has commissioned a report into water quality on the Manukau Harbour and the West Coast. The report, titled Big Blue Waitakere, has now been released for public comment. To be frank the water quality is appalling. This local board area has half of the region’s trouble spots. Wood Bay and Laingholm Beach in particular are shut too often. And the Piha and Te Henga lagoons have unsafe contamination levels occurring far too frequently. Aucklanders know that our water quality is not up to scratch. Colmar Brunton conducted a recent poll that showed that 61% of Aucklanders supported and 33% opposed the proposed Water quality targeted rate recently passed by Council. And in the Waitakere Ranges Local Board area the support figure was 77% support with 18% opposed. It is almost unheard of for a proposed increase in rates to be so popular. But locals clearly want our waterways to be swimmable without the need to check on a website to make sure that this is so and are willing to pay for this. The intent is that the report should start a discussion with local communities about water quality in our beaches and lagoons and what should we do to improve their quality. We want to prompt a wide-ranging local conversation about our marine and coastal environment, how we interact with it and how we work together to protect and restore it. We intend that there is the start of a conversation with local communities to work out what the objectives should be and what we need to do to achieve those objectives. Some of the greatest threats to the diversity and resilience of marine and coastal habitats are global issues such as green- house gas emissions and associated climate change, ocean acidification and sea level rise. Several management actions identified relate to how the local board can advocate for local scale contributions to carbon emissions that contribute to these global issues. The key pressures affecting the marine and coastal habitats within the WRLB area include; urban development and dis- charge of contaminants; fishing pressure and methods; habitat destruction; wastewater pollution; rubbish, plastics and marine debris; invasive species; and potential risks associated with petroleum and sand exploration and mining. While improvements have been made to local and regional management approaches, 90% of our native seabirds and more than a quarter of our native marine mammals are threat- ened with or are at risk of extinction. The rapid expansion of urbanised Auckland has resulted in coastal marine habitats and ecosystems becoming degraded. Chemical contaminants, high levels of nutrients and discharged sediments from waterways will continue to result in negative impacts. Even with the implementation of best practice management, it is unknown how irreversible these ecosystem-level changes may be. sustainable fisheries, threatened species which includes the critically endangered Māui’s dolphin, the offshore environment, recreational value and safety and the accumulation of knowledge and research by local communities. The work is mandated by the Waitakere Ranges Heritage Area Act 2008. Heritage features include the area’s terrestrial and aquatic ecosystems of prominent indigenous character that include wetland, and dune systems that provide a diversity of habitats for indigenous flora and fauna that have natural scenic beauty with a specific reference to the the coastal areas which have a natural and dynamic character, and contribute to the area’s vistas. The heritage objectives include protecting, restoring, and enhancing the area and its heritage features. A community hui is planned for June 20 at 6 pm at the Glen Eden Recreational Hall. Details of the event are here. If you are unable to make the event but wish to let me have your thoughts email me at my Council email. The single biggest issue we face is the pollution of our inner harbour beaches (and lagoons). It’s unacceptable that our beaches are closed due to high faecal matter in the water. A layer of foam scum greets you as you enter the water at Cornwallis. NOT ON! In additional to that the flow of degraded water from drains into the harbour and beaches. We also need to protect the streams that feed into the harbour. Waituna for example which is of excellent quality is under threat from leaking sewer pipes (examples of leakage have been shown on TPG page). Yet again Watercare are found to be negligent in their mandate to treat water properly and safely for the community. I agree that inner harbour beaches are in an appalling state. Green Bay is another and the heaviest polluted. The Manukau Harbour Forum, which Saffron Toms chairs is investigating sources. Also in the report I can’t see what actions will be taken as a result of findings. Great work commissioning it, but if no changes are made as a result, no pressure on service providers to up their game, what’s the point? Cheers.